Sloane Merrill Gallery features living artists who work in oil and bronze with a distinctive personal approach. Located on Charles Street in the heart of Boston's historic Beacon Hill, the gallery space is fresh and welcoming. 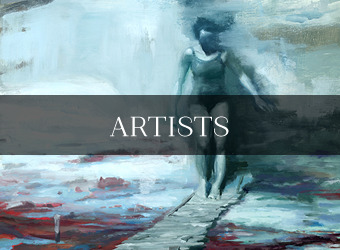 Artists include: Gregory Prestegord, Terry Miura, Carlo Russo, Tony Bevilacqua, Joshua Flint, Sally Ladd Cole, Jeremy Durling, Adam Vinson, Kelly Carmody, Danny McCaw, Jussi Pöyhönen, Matthew Saba, Mary Sauer, Daniele Cestari, Timothy Powers Wilson, & Gary Weisman.